Stories of Hope is a program that allows parents in prison to be reunited with their children through digital bedtime stories. Parents will be given the opportunity to be video recorded reading a bedtime story for their children. It will then be placed on a DVD and sent to their children along with the book itself that was read and a hand-picked stuffed animal. All of this is a gift from the parent in prison reassuring their children that mommy or daddy still loves them dearly. With prison population on the rise, it is increasing the number of children that are without a parent. There are over 2.7 million children who have a parent behind bars. That is 1 in every 28 children. When a child has a parent who is in prison there are many short-term and long-term effects on them. Stories of Hope allows those in prison to continue to strengthen their family bond which will help them when they are released. There is a less likelihood of reoffending when a family unit is strong. It also helps counteract a significant reading deficiency that develops in children when they have a parent go to prison because of the emotional and psychological trauma. This allows them to read alongside mommy or daddy while building their reading skills. They can feel separation anxiety, impaired socio-emotional development, traumatic stress and even survivor guilt. They may experience developmental regressions, poor self-concept, acute traumatic stress reactions, and impaired ability to overcome future trauma. They may experience rejection on limits of behavior and trauma-reactive behaviors. They may experience a premature termination of dependency relationship with a ​parent, and it may lead them to intergenerational crime and incarceration. what is stories of hope? 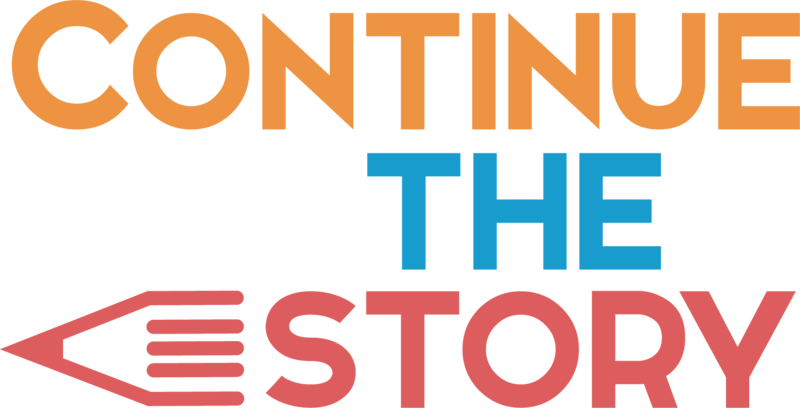 Stories of Hope is a program from Continue the Story that is working to rebuild families through digital bedtime stories. Our team works directly with parents in the prison system to video record them reading a bedtime story to their child. The child will then receive that video along with the book and a stuffed animal that has been picked out specifically for them. What prisons are you doing this in? For now, our mission is at the Ohio Reformatory for Women in Marysville, OH. Please complete the volunteer form and a CTS team member will follow up with you in 24-48 hours. Yes. Volunteers must be at least 18 years of age and have passed a background check. when do you go into the prisons? There will be restrictions based on prison scheduling, however, the CTS team will work to keep any of your personal requests and restrictions in mind. We understand your time is valuable so if you can only make one visit once in a while, that is absolutely OK! Please just be sure to note specific day/time requests on the volunteer form. can i volunteer with a felony? Having a felony does not guarantee that you will not be able to volunteer. Before anyone can volunteer a background check is done by the prison and they have the final say on whether you will be permitted to volunteer. Yes. CTS will provide all needed materials along with training. This is to be expected. Keep in mind that the inmates might be nervous as well. We’ll be sure to cover this in training and have an “emotions check in”. Also, you’ll be in a small team when visiting the prison and we’ll be sure all the needed support is provided. Yes. There will be training for the prison and also a CTS specific training session. During this training, you’ll learn how to use the equipment and go over all of the specifics of the program and what to expect on the day of your prison visit. are there ways to help outside of going inside prisons? Yes. Please consider making a tax-deductible donation to Continue the Story. We will never pass along charges or fees to the families we are working to help. To do this we need monetary support so we are able to purchase these materials and pay for their shipping. You also can help us with organizing our inventory of stuffed animals and children’s books to even help prepare and ship the packages to the families. Ohio prisons do allow those with felons or prior convictions to volunteer. Before anyone can volunteer a background check is done by the prison and they have the final say on whether you will be permitted to volunteer.